These days, more and more of us are brave enough to embark upon a renovation dream. If you can’t find your ideal home on the open market, taking on a remodelling project is a viable means of making your dreams a reality. With this kind of project, you can design a bespoke home, which ticks all your boxes and gives you the chance to put your individual stamp on every single aspect of the build. Whether you’re building from scratch or you’re doing up an old home that has fallen into disrepair, here’s what you really need to know. One of the most important aspects of tackling a renovation project is calculating the costs. Often, when you buy property, you know exactly what the total cost of your move will be. You add the fees to the purchase price, and you’re good to go. With a renovation project, it’s not as simple as buying new build or a home that is in pristine condition. You’ll need to factor in the price you’ve agreed to pay, agents fees and stamp duty, and the cost of the building work you wish to carry out. On top of this, you’ll need to incorporate additional extras, such as interior design costs. If you plan to take time off work to oversee the project or you need to rent somewhere while the work is being done, these costs should also be added to the mix. Make sure you have a firm grasp of the numbers before you make an offer or the sale goes through. The purchase price may seem attractive, but is the project affordable? If you are thinking of remodelling a home, sit down and work out the total budget for your property search. This way, you can make sure you view properties that are affordable, and you’ll find it easier to adjust the sums for each proposition. Some may require more TLC than others. If you’ve ever watched home makeover shows or you’re a fan of property programmes in general, you’ll be all too aware of the very real possibility of going way over budget or running into hurdles, which delay the project dramatically. Once you’ve got a figure in mind for the build, it’s always a good idea to have a contingency budget set aside. You never know when you may need to dip into that rainy day fund. When you’re drawing up plans and throwing ideas around, don’t just go for the first building firm or architect you see. Get some quotes, and then consider your options when you’ve got everything laid out on the table in front of you. You may be surprised at the difference in prices. If you’re using materials in bulk, it’s worth shopping around and liaising with different suppliers. If you’re buying products such as Henkel bulk adhesives, with Kenyon Group being a primary distributor, for example, you could save by placing large orders. If you compare prices, and you can place bulk orders at one time, you’ll get preferential rates, and this will save you money on the total cost of the remodel. If you’re planning to take on aspects of the work yourself, you could also save time and money by looking into equipment hire. Planning is essential with any house move, but if you’re taking on a doer-upper, it’s particularly important to make sure you have every aspect of the build pinned down. Once you’ve done the maths, you can start working on plans with architects and builders, and work out what needs doing first, and how you can make your vision a reality. 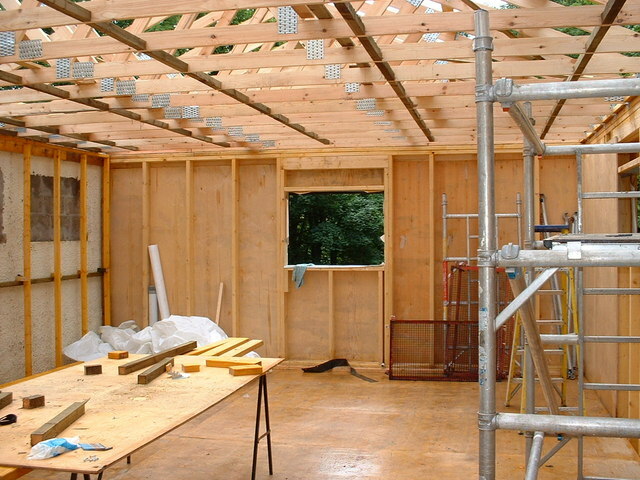 Planning consent may be an issue, so make sure you have approval from the relevant authorities before any changes are made to the structure of the building. Although you can plan in advance, it’s unwise to start building until the plans have been given the green light. Take advantage of the information provided by a surveyor when drawing up plans for your new and improved home. When you have a survey done, this will flag up potential issues, and highlight jobs that need to be done as a priority, such as structural work to secure the foundations. Focus on these jobs before you start getting carried away with wallpaper prints or tiles for the kitchen floor. If you’re overseeing the project, you’ll need to ensure that you maintain contact with everyone that is working for you. Be organised, manage your time, and make sure everything is going to schedule. If you plan everything with meticulous detail, there’s a much lower risk of things going wrong. When you see images of stunning homes in interior magazines and footage of people enjoying life in their dream homes, it can make renovation seem like an incredibly appealing prospect. In many ways, taking on work and remodelling a home is a great way of making your dream home a reality. But don’t be under the illusion that it will be an easy ride. In many cases, the people featured in magazines and TV shows have overcome several hurdles and obstacles to get where they are now. If you’re seriously considering a major home renovation, it’s beneficial to have realistic expectations from the outset. You’re going to have to wait to enjoy the results of your blood, sweat, and tears, and there may be highs and lows along the way. You may sail through without any issues, and arrive at the final destination on budget and on time, but it’s rare for there to be no hitches or glitches. Renovating a house to create the home of your dreams may seem like an alluring prospect. If you get it right, you can emerge the other side with a stunning tailor-made home, which may have worked out a lot cheaper than buying a home in perfect condition. There’s a lot to be said for remodelling and taking on a project, but there are pitfalls you should be wary of. It’s very easy to go over budget and to run way over time. Manage the project carefully, and never underestimate the importance of planning every detail. This will help you to avoid unexpected delays and costs, and it will also ensure that you have realistic expectations. Raising The Roof Or Craving Home Comforts?